Want to make the world a better place? Have an idea that could improve lives? Test it out at the Gustie Tank! 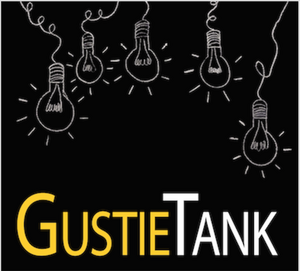 The Gustie Tank brings together students from across the campus who are interested in developing entrepreneurial ventures. Students pitch ideas and the audience decides the winner right on the spot! The winner is gets $50. You get 4 minutes to convince the audience why your idea should win. No need to register, just come and pitch! Not ready to pitch? Come to cheer others. Each Gustie Tank night starts with pizza. Gustie Tank Promo from Carolyn Draayer on Vimeo. 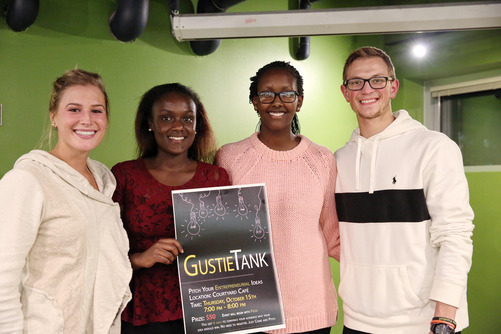 If you want to learn more about the previous editions of the Gustie Tank, see this post in the The Gustavian Weekly.